Bourbon Old Fashioned, Blended Golden Mojito or a Scottish Whisky Sour...this week we caught up with a trio of our most creative mobile bars to get the scoop on what makes them the mixologist's you want at your next event! Firstly lets introduce our traders! 1. 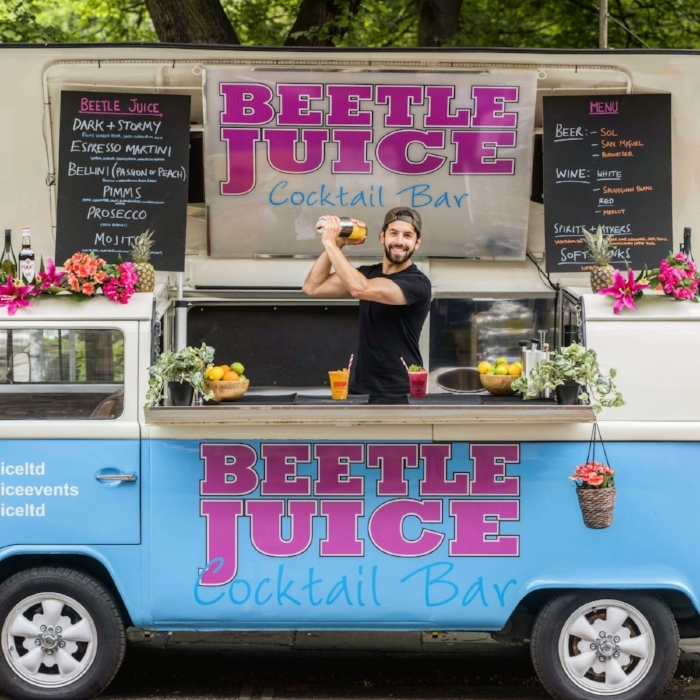 Bettle Juice are sure to stand out when they rock up in their vintage VW open-top cocktail bars. These guys are known for flair, theatre & their skills of mixing amazing cocktails! Founded in London this is the brands first venture in Scotland. With vans kitted out with speakers, lights & a huge bar-top they are your go to party-starter! 2. Dispensary Bar offer something pretty special. Mixing adventure & innovation they launched their hot air balloon bar to offer something undeniably unique to the scene. That being said, their setup is far from a novelty...they know their craft! Handmade syrups, liqueurs and bitters ensure that your cocktails are served fresh, flavourful and clean. 3. Gin Thing are the only mobile horseshoe bar in Scotland dedicated to selling a plethora of craft & artisan gins distilled and made in Scotland. Their drinks & cocktails feature some of the hidden gems of Scotland's small batch craft gin distilleries. They see themselves as a 'shop-window' for artisan gin makers majority of whom hand-forage their botanicals right here on home soil. Bettle Juice: I've been in Edinburgh for 4 years now; initially I came up to study for a masters which then led me on to a lectureship at the university. I'm ambitious and love to be busy, so even though I enjoy my teaching role I felt like I wanted to do something for myself. Taking on the Scotland franchise for Beetle Juice seemed like an obvious decision to make - I knew I could handle both together if I managed my time well. We have just finished the first summer and I've definitely caught the bug, now I'm planning for a bigger and better 2019! Dispensary Bar: Our cocktail bar is an appreciation to one of the most adventurous and inventive of the Victorians & what better influence for cocktails than a sense of adventure. As a nation we are starting to repeat history by going back to artisan bakeries and independent green grocers, meals made from fresh ingredients. We feel it’s time to go back to making everything else by hand to craft fresh, flavourful and natural cocktails served with some modern twists such as dry ice and flavoured smoke. Q. What did you do prior to starting your business? Gin Thing: We were both in the corporate office world and when an opportunity to change our way of life came about, we grabbed it. The skills obtained in our previous careers have really helped us with The Gin Thing, for example, business planning, marketing, social media, finance, IT, customer service, public speaking and so on are all needed to run a business like ours they have all come in really useful. Q. Scotland is famed for its Whisky production and is becoming increasingly so for Gin. With such a diverse range of Scottish distilleries who do you champion & why? Dispensary Bar: We try keep our spirits local, my personal favourite is Mclean’s Gin. It’s a creative brand with such a variety of flavours such Cherry Bakewell and a purple colour changing floral gin which both work very well with our cocktails. Gin Thing: We are so fortunate as there are so many gorgeous Scottish distilled gins and wonderful brands out there at the moment. The gins are stunning and I have been really impressed with the beauty of the bottles and logos. We promote small scale local producers and some of our favourites are The Devil’s Staircase by Pixel Spirits in Ballachulish, The Crow Man range by Kelso Distillery, Harris Gin, The Gin Bothy from Angus, and Biggar Gin obviously from Biggar. Q. What's your signature cocktail? BeetleJuice: I have a few favourites! It really depends on the event and the environment, but commonly out on top is a well-made Mojito! A healthy bunch of mint and few lime wedges freshly muddled together. Dispensary Bar: My personal favourite to make is an Old Fashioned! There’s something soothing about stirring cocktails instead of shaking. I use 50ml Buffalo Trace Bourbon, a few dashes of our handcrafted orange bitters and a demerara sugar cube, stir with ice and serve into an Old Fashioned glass with an ice ball. ﻿Q. So when your not behind the bar, what's your favourite place to get served? Beetle Juice: My favourite cocktail bar in Edinburgh is probably Devil's Advocate - those guys know what they're doing! Gin Thing: I lived in Edinburgh for a while and when I go back I try and pop into one of our favourite cocktail bars, it’s Panda & Sons. a real speakeasy located in a dodgy looking barber shop behind a secret bookcase door. Its exactly what you want a speakeasy to be, hidden, fun and drinks to shine! Q. What's been the highlight of your journey so far? Beetle Juice: Hands down it has to be VIP at TRNSMT Festival in Glasgow this summer. I would go as far as saying it was a perfect event; the people were amazing, the line-up was insane, the weather was 30+ degrees and the queues were non-stop! Dispensary Bar: Our hot air balloon is my absolute favourite thing so far. Having a brand new concept for a stall and watching it come to life has been incredible and it’s so great to serve drinks from! Gin Thing: Seeing our Horsebox bar evolve into what it is now has been a pleasure, albeit it was back breaking work doing it all ourselves. Meeting Ross at The Altered State who understands what we are after and is able to transfer our ideas into awesome objects like our menu boards; But really it’s the customers…The Gin Thing tends to put a smile on their faces and hearing them say ‘wow’ makes it all worthwhile. Q. Ok great, so what have you learnt along the journey? Beetle Juice: Make sure you believe in your product or service and your customers will too! Dispensary Bar: Don’t let perfection get in the way of progression! If you have an idea and you have done some calculations and think it’s viable go for it. ﻿Gin Thing: No matter what you think it will cost, it won’t, you will need to at least double your budget if you want to be unique and look the part. Q. Pretty encouraging! So, festive season approaching...Mulled Wine or Eggnog? Beetle Juice: Definitely Mulled Wine! Dispensary Bar: Mulled wine, you can create so many wintry flavours and spices to make it really feel Christmassy! Try a few dashes of Cinnamon Bitters with it and you’ll feel like you’ve woke up in Whoville. Gin Thing: Mulled Gin of course! There we have it a bunch of our awesome cocktail crafters! 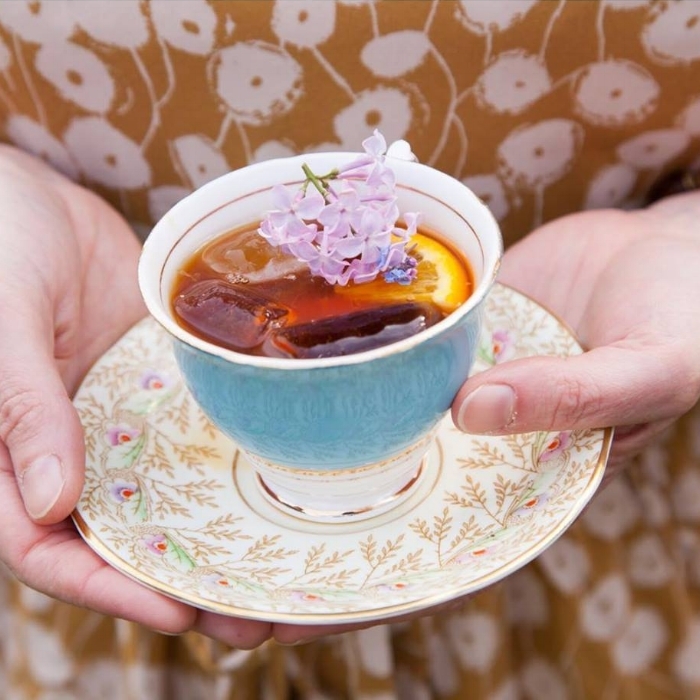 Whether your after home-made mixes served from an air-balloon, expertly crafted Scottish Gin Cocktails or if you want to wow your guests with some theatrical bar-flair then we are the place for sourcing the most creative drinks on wheels! To book any of these amazing drinks traders just click here and fill in our online request form.